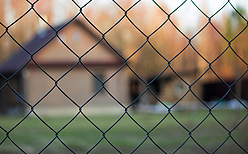 A chain link fence provides many things for your business, mainly protecting your inventory. It also keeps out intruders, sets boundary lines and gives an additional layer of security. It does the same for homes. Hohulin Fence offers made-in-the-USA fences by a local company installing durable fencing systems. We are a family-owned business with a long track record of excellence, priding ourselves on a high level of satisfaction and service in chain link fence installation. We’ve been at this for more than 120 years, making quality fences helping clients just like you. As a thriving business, you need the peace of mind that a durable, secure fence can afford. 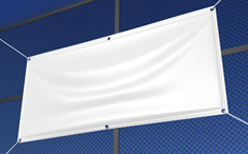 We offer products for both commercial use and residential use. Choose us for chain link installation Bloomington IL needs. Hohulin Fence offers a wide selection of options, from residential to commercial chain link fencing systems. In conclusion, to learn more about our chain link fence installation in Bloomington IL, contact us at 309-316-1008. Alternatively, you can email us at info@hohulinfence.com. We are headquartered at 116 South Harrison Street in Goodfield, IL.